Our Range of bollard covers are an amazing way of updating the look of tired and battered existing bollards, without the hassle of breaking out to replace them. Often, although old existing bollards may be scuffed and aesthetically compromised, there is nothing structurally wrong with them. Our bollard covers provide a quick and simple solution and give an end result which we think is even better than when they were newly installed. As anyone who has tried to paint multi-coloured band knows it is not an easy thing to do properly and achieving good even results is very difficult and time consuming. 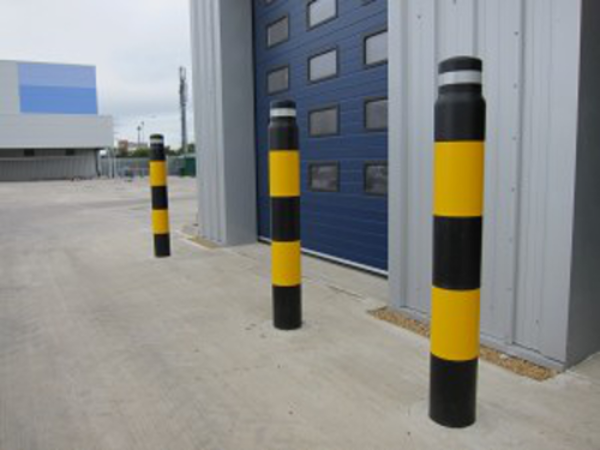 Our bollard covers offer perfect results in a fraction of the time it would take to paint them. They are a modular design that “click” together in segments to encase the bollard in a colourful protective sheath. 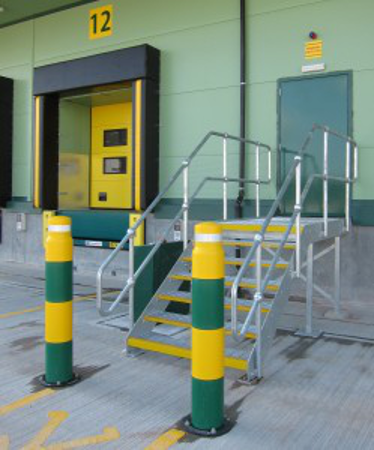 Being modular allows for any colour combination that you wish, allowing you to match the site branding colours if needed. Suitable for both surface mounted and potted bollards they are easily fitted and are available with a reflective band to the cap section.